You can have a healthier physical, mental, and emotional state! Create better health and self healing with the help of this recording now! During stressful situations we rarely stop to think about what is happening within our bodies and the pressures of the moment keep our minds occupied on almost everything else but our physiological functions. Consequently those functions often become irregular, leaving us in an unhealthy state of being where we have fewer chances in succeeding in whatever we try to accomplish. 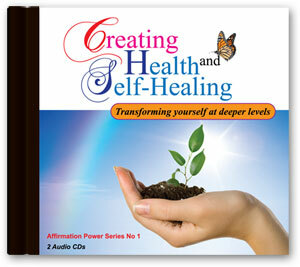 This recording is useful to all who need psychological support in physical, mental and emotional healing. These powerful guided self-healing visualization and meditation exercises serve to boost your immune system and accelerate your recovery process. It can also be used for maintaining health and wellness.